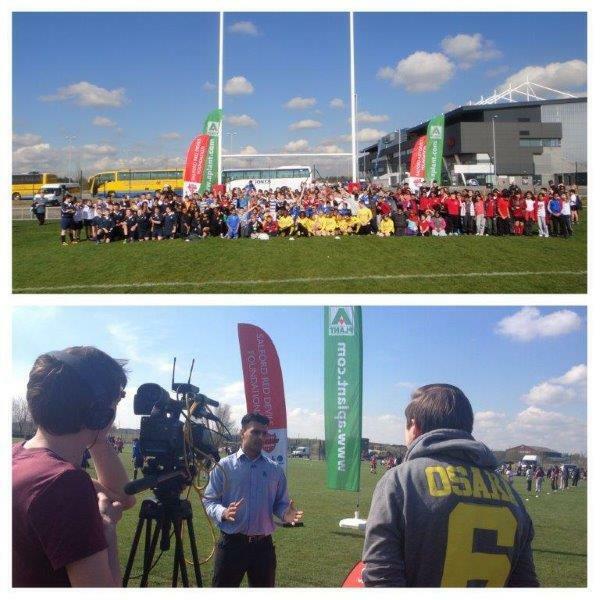 Last Tuesday saw another brilliant event for the Salford Red Devils Foundation as we were host to the A-Plant annual rugby league festival here at the AJ Bell Stadium. We are pleased to say that the event was again a huge success, with over 20 schools coming to enjoy the day and compete against each other. The schools involved were both primary and secondary and enjoyed the event thoroughly, competing against other schools and showing off their rugby skills. We wish to thank St. Marks CE, Westwood Park Primary, Springwood Primary, The Friars Primary, Lightoaks Primary, St. Teresa’s Primary, Lewis St. Primary, Godfry Erman Primary, St. Hilda’s Primary, Seymour Park Primary, Gorse Hill Primary, St. Joseph’s Primary, The Cathedral School of St. Peter & St. John, Buille Hill High, St. Peter’s Manchester, St. Ambrose Barlow RC High, Swinton High, Wellacre High, Stretford High and Blessed Thomas Holford Catholic College for their involvement and impressive support during the festival, we hope you enjoyed your day as much as we did! A congratulations is in order to our four winners, Swinton High, Gorse Hill, Godfrey Erman and St. Marks. The Salford Red Devils Foundation would like to say a massive thanks to Asif Latief and Belinda Swana from A-Plant for making this event a continued winner and contributing to such a fun and rewarding day. We are honored to be working alongside A-Plant Tool Hire and especially Asif and Belinda, we are consistently impressed by their professional and courteous nature, as well as their continued and involvement in high standard events here at the Foundation. Looking forward, we are really looking forward to working closely and collaborating with A-Plant in the future. For more updates and information, follow us on Twitter @SRDFoundation.